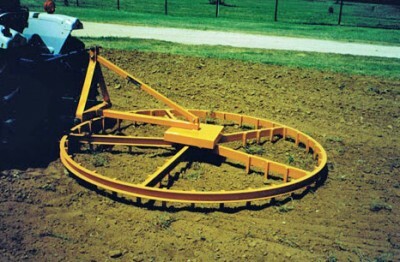 Randy Snodgress began producing Arena Werks Arena Drags around 1988 beginning with a rotary harrow design to which he made changes, added variety to the design, and never looked back! Randy used to train and show horses, so he knows how important good footing is in an arena for horses to remain sound and free of injury. Simple, yet effective and easy to use! The Original Arena Werks works to keep your ground just the way you like it. Water, Rip, Level and Fluff all in one pass.